After decades of prioritizing cars over pedestrians, city leaders have embraced a plan to transform a now-congested 1.5 km stretch into a lively urban hub. Prospective Main Street is a pedestrian- and cyclist-friendly urban space in the heart of Tallinn. Reduced car traffic and more public transport create a 21st century urban space to replace today's multi-lane boulevards. The design competition, organized by the Estonian Centre of Architecture, took inspiration from sustainable city planning solutions in other European capitals, such as Berlin, London, Stockholm and Helsinki. The project is meant to be completed by 2020. 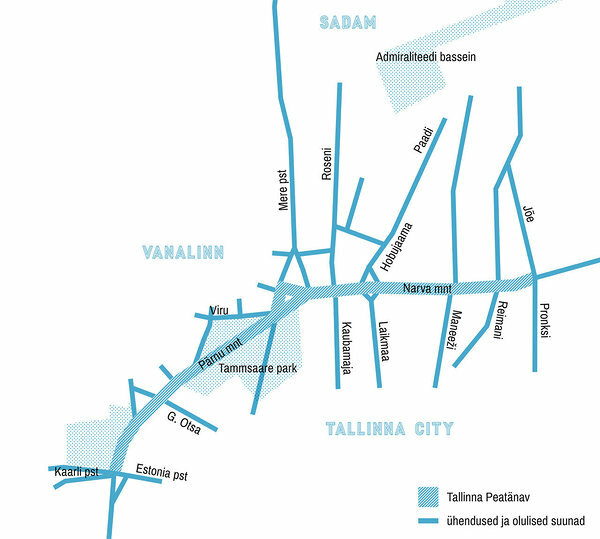 The goal is to transform the heart of Tallinn from a transport corridor to a people-friendly space with its own identity and street culture – a space for meeting and spending time, not just a busy thoroughfare for cars that citizens and tourists alike try to avoid. The soon-to-be-redesigned street stretches 1.5 km from Freedom Square along the current Pärnu road, Viru Square and Narva road. One of the objectives of the Main Street project is also to link the Old City Harbour with the city centre, extending the city to the waterfront and thus making the now fragmented centre into a cohesive unit. The design competition is held in two stages. The first stage is to find a concept and design for the main street itself and its immediate surroundings. The second stage covers neigbouring areas and the seaside of Tallinn. The fist stage was concluded in May 2016, when the project "Spring in the City" was announced as the winner. The winning team was lead by Toomas Paaver from Linnalahendused, in cooperation with Kavakava Architects. 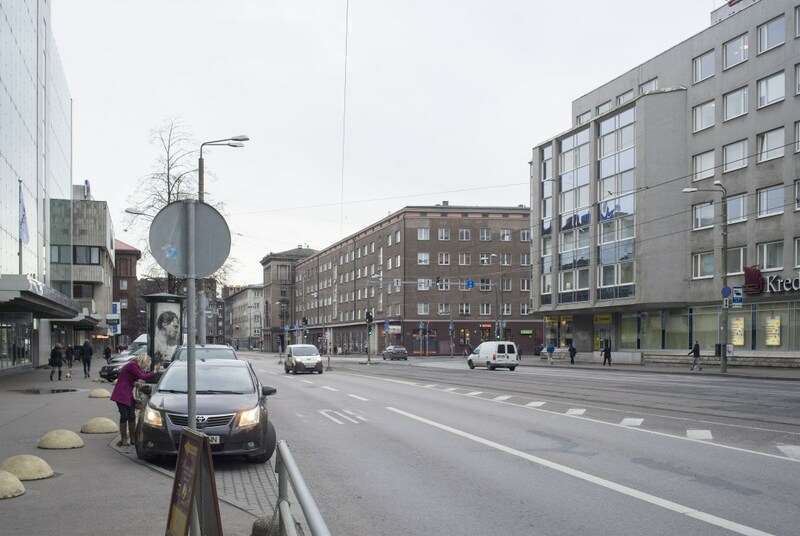 As part of the transformation of the city centre, the team intends to highlight missing sections of the Bastion belt that used to surround the Old Town centuries ago, when Swedes ruled the capital. The second stage of the competition will be announced in the fall of 2016.